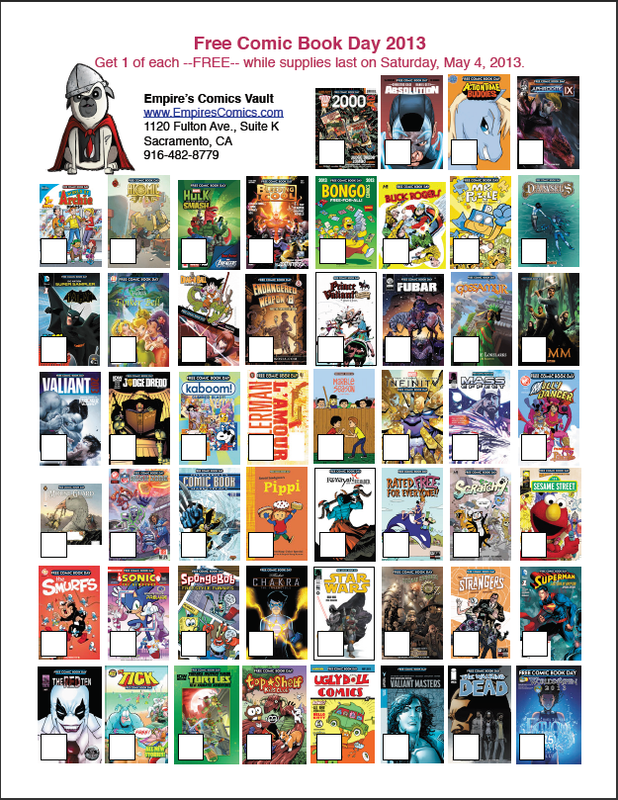 Whether you visit Empire's Comics Vault or another shop, you want to make sure to track which titles you collect that day. 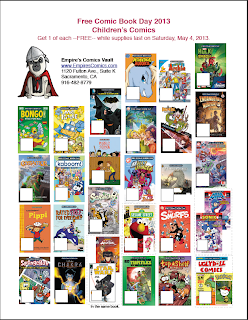 Of course, at Empire's we let you take one of each title that you'd like to read! 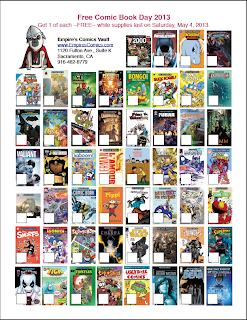 If you're not so lucky as to live in Sacramento, you may have visit multiple shops to get all the titles you want. I know I've done that before, and it's a fun way to spend the day. We put together these two checklists for you -- one for all titles and one for the kids. 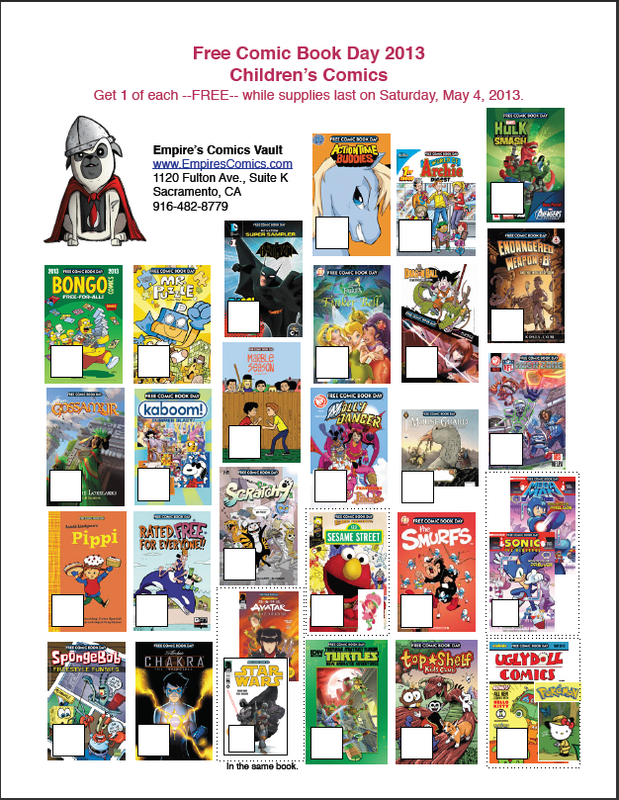 We look forward to seeing you at our Free Comic Book Day 2013 Mini-Con. Doors open at 9:00 a.m.